Keep your eyes peeled for the October issue of the Mpls. St. Paul Magazine, as you’ll likely come across a familiar name. 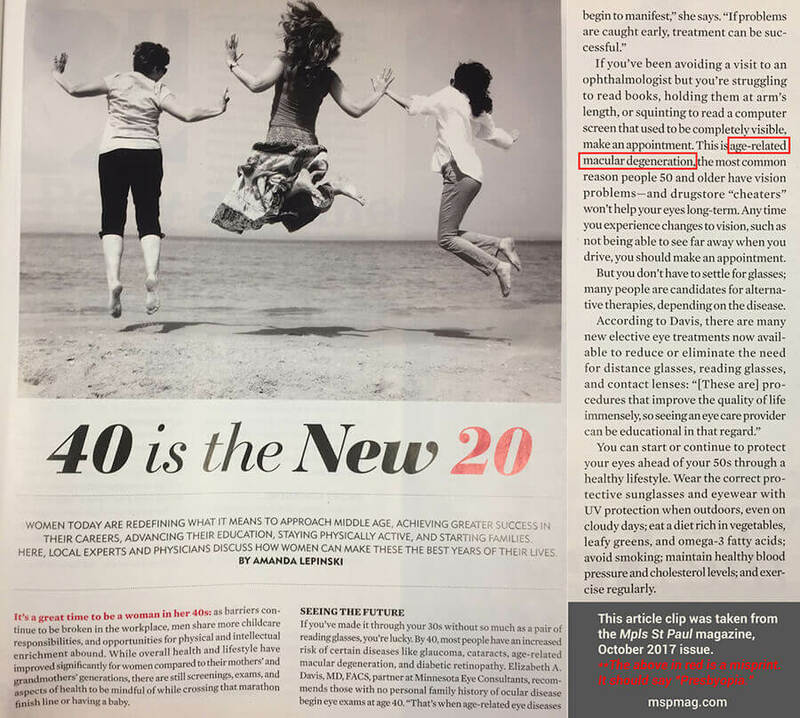 Dr. Elizabeth Davis was interviewed as an expert for their “40 is the new 20!” feature, which elegantly highlights what women age 40+ should be doing to maintain their health and wellness. We’re proud of Dr. Davis for educating and supporting others as we strive for the common goal of optimal community health. Below is a clip of Dr. Davis’ piece, but please visit mspmag.com for the full article. *Please note, there was a misprint. The highlighted text below should say, “Presbyopia”.